Shot on a micro budget and starring what looks like a bunch of friends hanging out on weekends, this ridiculous spoof of horror & martial arts movies falls flat from its opening scene to its closing credits. Ketchup blood, no gore, terrible acting… this crap fest is a literal mountain of ineptitude. 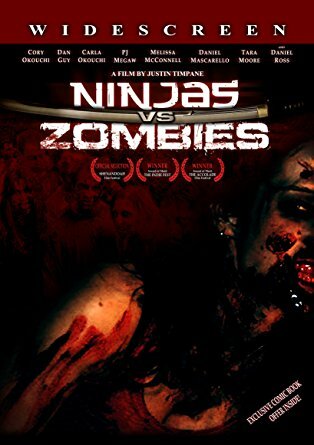 I know, I know… what did I expect from a film called NINJAS VS. ZOMBIES? Well, however low my expectations could have been… this is worse. How the hell did this thing get distribution? Stay away from this one, kids.